Amelia Research & Recovery, LLC believes strongly in the recovery and preservation of historical data while protecting the environment. It believes also that commercial salvage of historical shipwrecks can be accomplished with strict adherence to established archaeological guidelines and thorough reporting procedures. 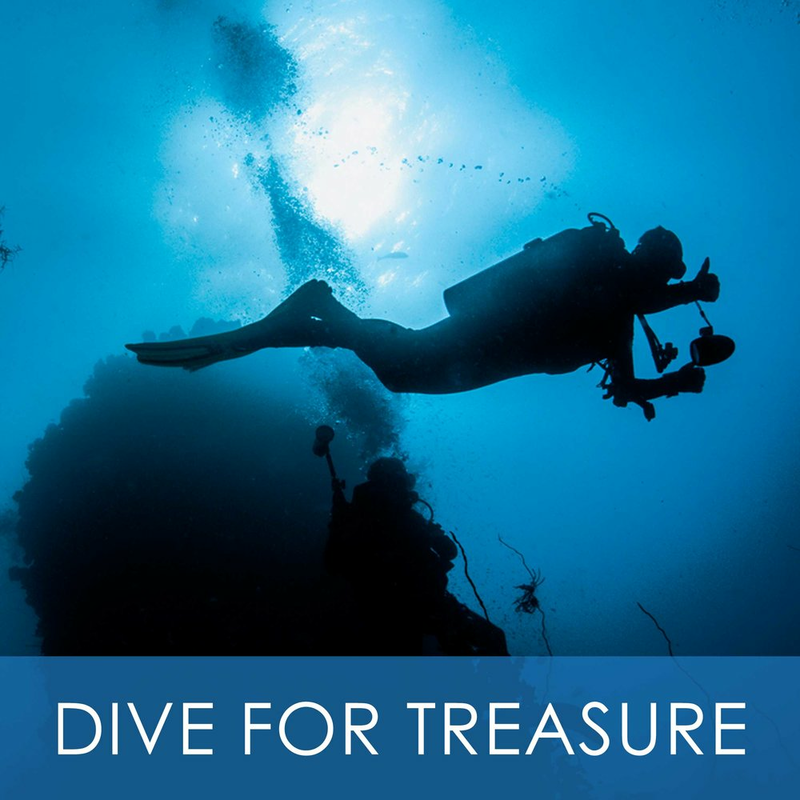 We believe the salvage of these wrecks by private enterprise involves the greatest number of people in a fabulous adventure that most people secretly dream about, but few actually experience. There’s so much uncovered history out there… ask us how you can be involved! A ten ton crane on the bow has more than adequate lifting capacity for deeply lodged and heavy objects. 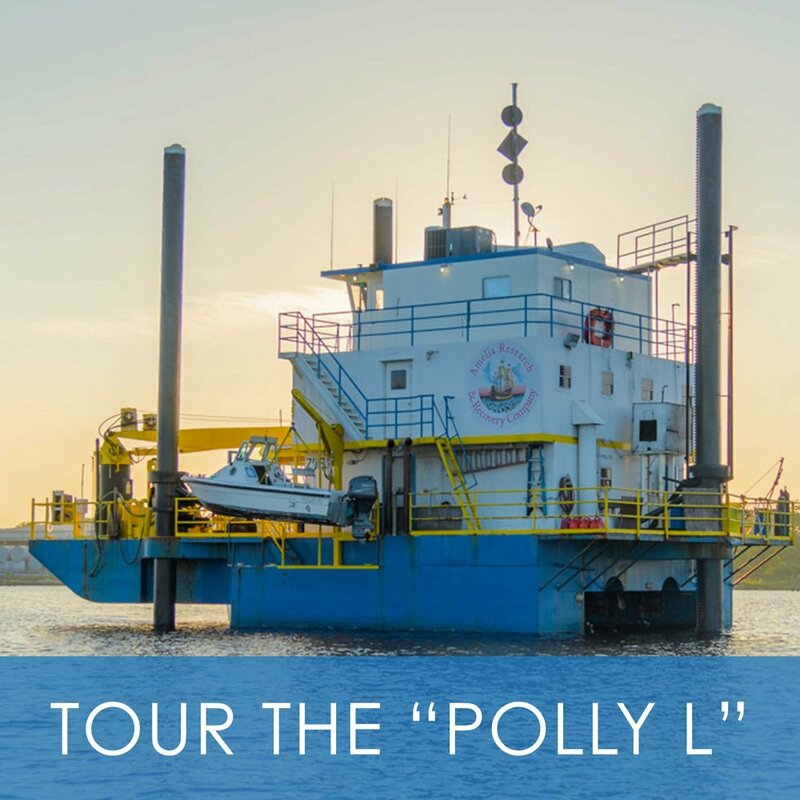 We can concurrently deploy the excavator, and dredge through a sluice box, 24 hours a day. Our on board facilities for preservation of recoveries are a first in this industry. The working platform raised above the ocean swells, provides stable, comfortable accommodations for the ship's crew, archaeological and media consultants, and visitors. Dive teams can begin dive operations at sunrise and continue until sundown, working in rotating shifts after an excellent night of rest and relaxation within the fully equipped galley and staterooms. Polly L's performance has exceeded all expectations. Traditional salvage vessels have a seasonal operating window, subject to weather, of June through September. Our lift boat remains on site for extended periods of time. We have no daily commuting to and from the site, which saves valuable recovery time. All Rights Reserved. All photos were taken by Amelia's Graphic Division except where noted.